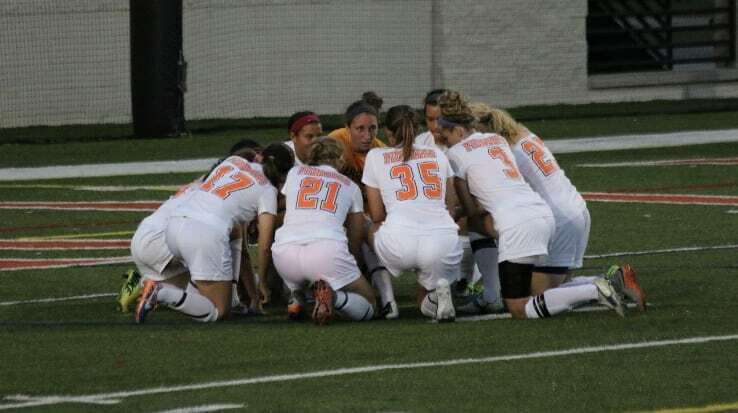 For the first time in recent years, the Carroll Women’s Soccer Program is seeking your support. The Women’s Soccer Program has created a tradition of excellence both in the classroom and on the soccer field. Our mission is to challenge our players to achieve their potential, empower them to believe in themselves, develop their leadership skills, cultivate their strength of character, and prepare and equip them with the skills and experiences that will carry them into the future. You can help maintain the indisputable excellence that separates our program from others around the country. 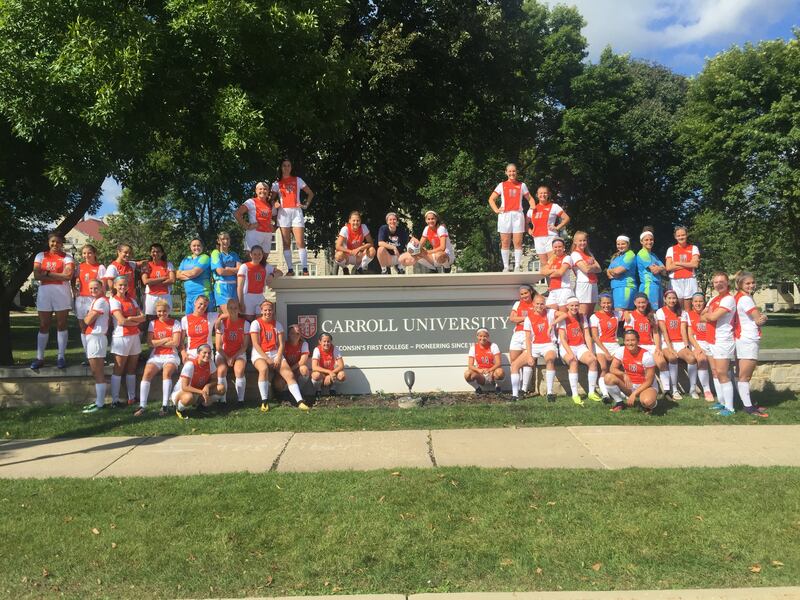 We are asking for your participation in the Carroll University Women’s Soccer “CrowdFunding” Program. We hope that you may be inspired to give because the Women’s Soccer program has positively influenced your life or a past or present player's life in a meaningful way. You may give to celebrate an important milestone or rite of passage, or you may give in honor of your or her experience. Regardless of the reason, when you give to this project, you help sustain a long tradition of family and support for women’s athletics and our soccer team. We look forward to updating you on the Pioneers’ season! Most importantly, you will receive our enormous gratitude for the faith you have placed in our program, and your gift will enrich the lives of our players in a very meaningful way. With great appreciation, the Women’s Soccer Program accepts gifts in any amount. We have pre-selected levels to assist with the process, should you need them. Please review the options and choose the plan that is best for you. All donations are used directly for our program to help enhance the student-athlete experience. 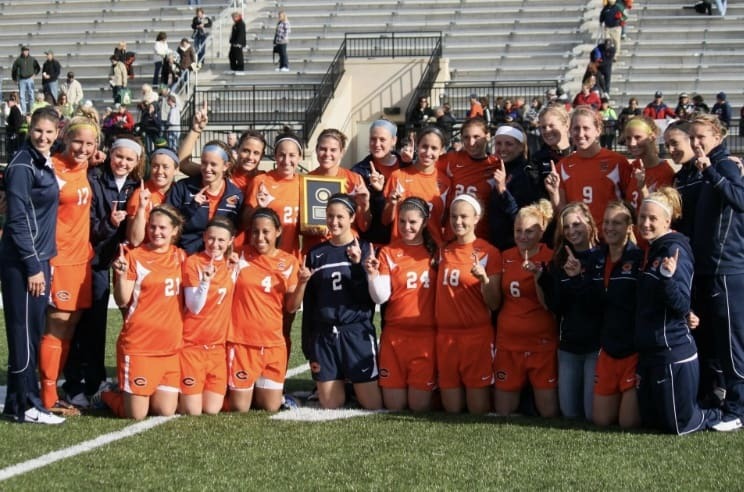 Thank you for your support of Carroll University Women’s Soccer! Any amount helps and your donation will allow us to create a better locker room space for our players! Your donation of $25 will help us in our team branding efforts! Your donation of $50 will enable us to make changes to our locker room to inspire us before games! Your donation of $100 allows for the purchase of 1 new uniform kit to ready our players to take the field and win! Your donation of $150 will enable us place banners and signs around the field to recognize the accomplishments of some of our most decorated teams and players in Carroll history! Your donation of $200 will allow us to compete in a tournament in Oregon next year, to support travel to play the best teams in the country and prepare us to participate in the 2018 NCAA Tournament! Your donation of $500 will help prepare and equip us to train and purchase gear and equipment that will enable us to participate at the highest level. Your support will provide a phenomenal student-athlete experience for our players while they represent Carroll University Women's Soccer both on and off the field! Your donation of $1000 will not only help us support and enrich the lives of our current players, but it will allow us to continue to celebrate the tradition of excellence on the soccer field and in the classroom that our alumnae and current players have worked so hard to achieve!